In a world where marriage is primarily about who will control the land, 16-year-old Lady Angel Montrose wakes up on her wedding day feeling that she is satisfied enough with her groom, Leth. Angel doesn’t know, however, that Leth wants her as a bride not only for her family’s substantial land holdings, but because he thinks that she knows details of The Book of Forbidden Wisdom. Angel’s sister, Silky, who knows nothing of this, winds white flowers into Angel’s dark hair; she helps Angel with her wedding dress, and she escorts her sister to the ceremony. Trey, a childhood friend who is in love with Angel, watches helplessly as the woman he wishes to marry takes pen in hand to put her name into the Book of Marriage and the Book of Land—thus sealing the union with Leth. Angel is ready to sign—if only to get the tedious wedding ceremony over with and begin what everyone but Trey assures her will be a happy married life. For a moment, Trey catches Angel’s eye. She hesitates. Then, before Angel can put pen to paper, a voice rings out. Angel’s long-absent brother, Kalo, interrupts the wedding ceremony. 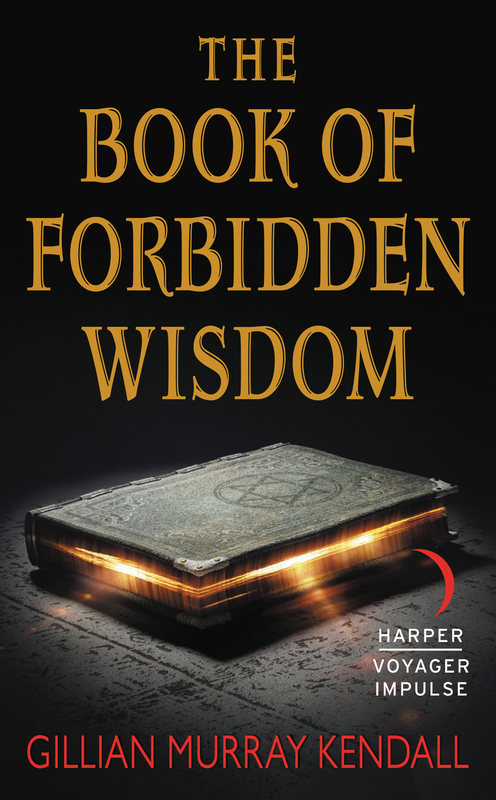 He wants her dowry, and he also believes Angel can lead him to the The Book of Forbidden Wisdom. In a world where land is everything, this book promises him both wealth and power. In the night, Kalo goes to Angel’s room to threaten her—but Trey gets there first and rescues both Angel and Silky. Angel is immediately cast off by her family and, for running away with Trey, branded a harlot. Meanwhile, Angel, Trey and Silky—joined by an itinerant bard—begin their own journey to seek The Book of Forbidden Wisdom. While Angel’s brother Kalo believes the book contains land deeds, they believe it harbors almost supernatural power that will give each of them the ability to realize their deepest desires. But what does Angel desire? She is torn between the dark and secret Bard and Trey, the man she has always loved as a friend. Always just a step ahead of Kalo, Angel, Silky, Trey and the Bard finally arrive at the place of The Book. But things have changed now: Angel’s fortress heart lets down its walls, and, at last, she recognizes what it means to love. Confronted by evil, at the end of the known world, Angel and her companions turn and fight. Together. And in so doing, they find that love contains a power of its own.